Automated teller machines, or ATMs, offer convenient self-service banking. When the bank isn't open, you can use a debit card with an ATM to get cash, make deposits or check account balances. Despite these benefits, however, using an ATM can leave you vulnerable to robbery and can cost you in service fees. Convenience is a primary benefit of ATM use from a service standpoint. Banks place their machines in multiple locations that are convenient for customers to reach while maintaining a blend of personalized service at branch locations. Customers often take ATMs for granted or don't pay attention to a machine's location until they need cash to pay for something. Making deposits with an ATM is another plus. Bank ATMs have become increasingly versatile as companies automate more services. Getting cash, making deposits or loan payments, transferring funds between accounts and checking your account balances are some of the more common services an ATM offers. Some ATMs even sell stamps or fund prepaid cell phones. Banks collaborate with machine manufacturers to make sure ATMs meet accessibility standards required by the Americans With Disabilities Act. Key upgrades in 2012 included improved screen and keypad accessibility for patrons in wheelchairs and easy-to-read Braille features for blind patrons. Usage fees are the main drawback of ATMs. If you use an ATM not owned by your bank, you typically pay the machine owner a fee ranging from $1 to $3. You also may have to pay your bank a fee in the same range. Some banks assess a fee to provide balance information and to process other non-cash transactions. 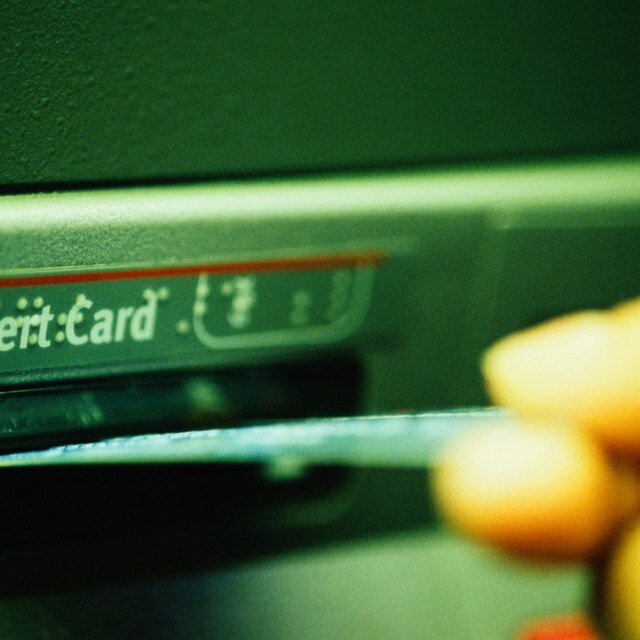 Overusing ATMs outside your bank's network can add up over time. Save yourself money by using ATMs owned or approved by your bank and getting cash back on purchases. ATMs are convenient, but they don't offer the personal interaction you get at your local bank. Nor do they answer questions you might have about bank services. As banking customers become more dependent on self-service devices, banks may cut back time on personalized services, including consultations for checking and savings accounts and for loan products. In an article published by the Center for Problem-Oriented Policing, attorney Michael S. Scott notes that ATMs have a high propensity for robbery in some areas. Consumers getting cash late at night are especially at risk of being robbed.